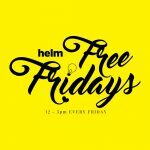 HELM - Shared Office & Coworking | So you want to make an impact? So you want to make an impact? Every captain needs his crew and that includes professionals who know the ropes. The road to becoming a successful entrepreneur can be a rocky one but the likes of Sheffield City Region Launchpad, Social Enterprise Exchange and Groundworks will pave the way with advice on things like turning your side hustle into a full-time gig, marketing your new business to spread the word where you need it spoken most and even helping employ staff when you reach that momentous business milestone. All three schemes are available to new businesses throughout Sheffield and surrounding regions and by jeez do they know their stuff, the little brainboxes. For help closer to home, look to Helm. We’re a friendly bunch of creative souls and #inspirational mentors. We’ve got skills to share and knowledge to help and we’re known to make a cracking brew too. You could have the biggest and best business in the world but it doesn’t matter a gnat if nobody knows about it. We Brits aren’t great at self promotion, our stiff upper lip and self-deprecating nature sees to that, but it’s an area you’ll have to get comfortable in now that you’re the big boss. If you have the cash or the contacts, a PR company will spread the word faster than you can say ‘next big thing’. If both those areas are lacking, as they often are when you’re just starting out, it’s easier than you think to make an impact yourself. First up, you’re gonna need a website. It doesn’t matter what industry you are in, a website is a non-negotiable in the age of the internet. The benefits of a good one are tenfold, from acting as a portfolio of your past work to acting as a contact point for prospective clients and even establishing you as an authority on your area of expertise. From there, you can roll things out to social media channels and even pushing out press releases to local press and trade publications if you’re feeling fancy. Houston, we are go; it’s time to launch. After months or even years in the making, your new business deserves a launch that’d make Meghan Markle ask her party planner for her money back on the Royal wedding. Put out that press release, make a song and dance on social media, get people talking with a launch competition. You could even invite the who’s who of your industry to a launch event that will put you firmly on their radar from the get-go. Just remember that failure to launch isn’t an option and you’ll do just fine. You’ve got this.